Use this household monthly budget template to manage your family budget effectively. Includes column for projected costs and actual costs. 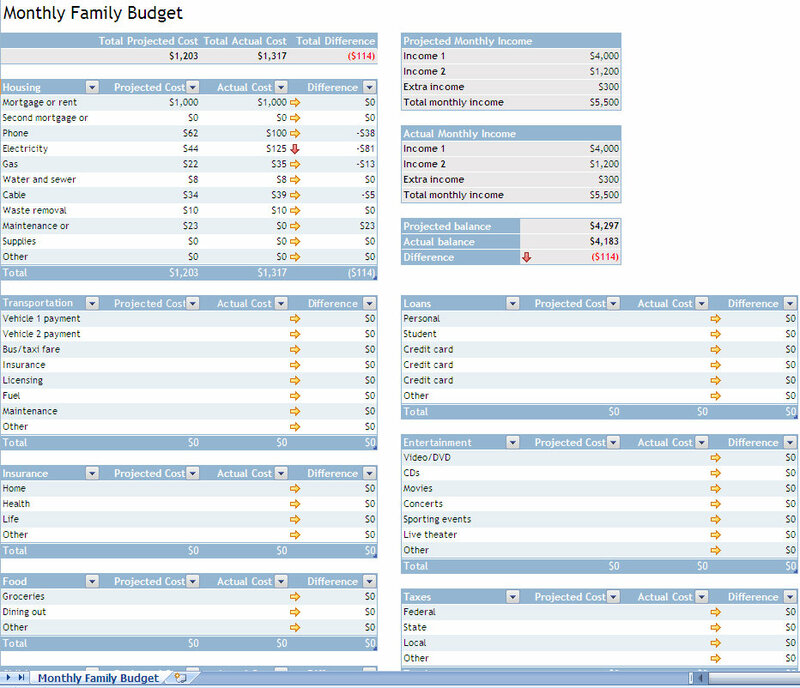 Also this household budget template displays difference once actual costs are updated. Download this Household Budget Template today!